April 12, 2019 at 7:00 pm. Los Angeles Angels outfielder Mike Trout was not with the team for the opener of a three-game series at Chicago against the Cubs and is not expected to make an appearance at Wrigley Field this weekend. Trout, who came away from Tuesday’s game against the Milwaukee Brewers with a right groin strain, has not been placed on the injured list and an examination by team doctors on Friday revealed reduced swelling. But his improvement does not seem to be good enough to play in the current series. 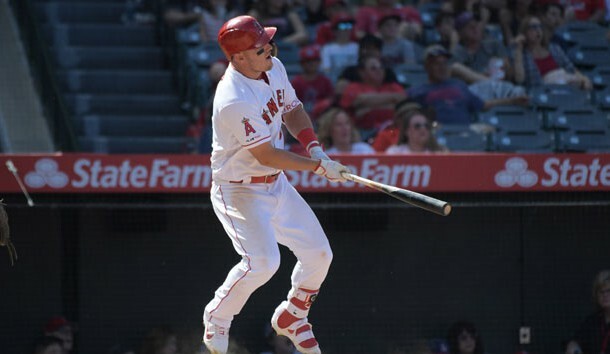 Trout, who is batting .406 with five home runs in 12 games this season, did not play in Wednesday’s series finale against the Brewers as the Angels completed a three-game sweep. The Angels, who are on a six-game winning streak, had Peter Bourjos in center field Friday. Trout, a two-time MVP, insisted Wednesday that the injury is not serious, yet he remained in Southern California when the team left for Chicago. Trout has played in four career games at Wrigley Field, going 5-for-15 with an RBI. He was just 1-for-8 there in two games in 2016. The Angels will proceed to Texas for a three-game series against the Rangers starting Monday.